through our yoga teacher training program. 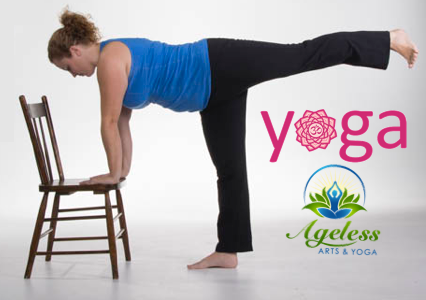 Ageless Arts Yoga believes that yoga should be accessible to everybody and every body. This includes yogis whose financial budget may be limited. Are you interested in supporting making yoga accessible? Make a donation to help another to deepen their education through Ageless Arts Yoga. What is Ageless Arts Yoga? 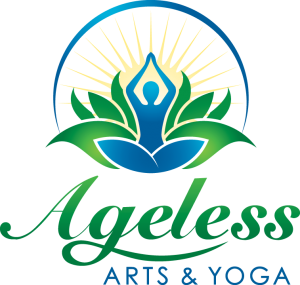 Tracey Eccleston is the Owner & Director of Ageless Arts Yoga. After completing over a 1000 hours of teacher trainings and achieving the E-RYT 500 & IAYT certifications, Tracey continues to study through daily practice, workshops, classes and training conventions. Today, she is one of the most experienced yoga teachers in the area. Tracey teaches future yoga instructors as the lead instructor at Ageless Arts Yoga School located at Grand River Yoga (Five Oaks), Paris, Ontario. Besides regular instruction, Tracey specializes in teaching Chair Yoga. She is the creator of Foundations of Chair Yoga & Therapeutic Balance & Support Chair Yoga. Tracey enjoyed being Co-Director of Lakshmi Voelker Chair Yoga for seven years. She regularly delivers training in chair yoga at workshops and seminars across Canada and the United States and is excited to soon be offering her trainings online.